Fr. 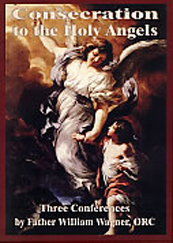 William Wagner, ORC:The theological foundation for the Consecration to the Holy Angels was approved for use in the OA by Cardinal Ratzinger in 2000. By consecration to them, we can grow in our union with God and collaborate with the angels for the needs of the Church.